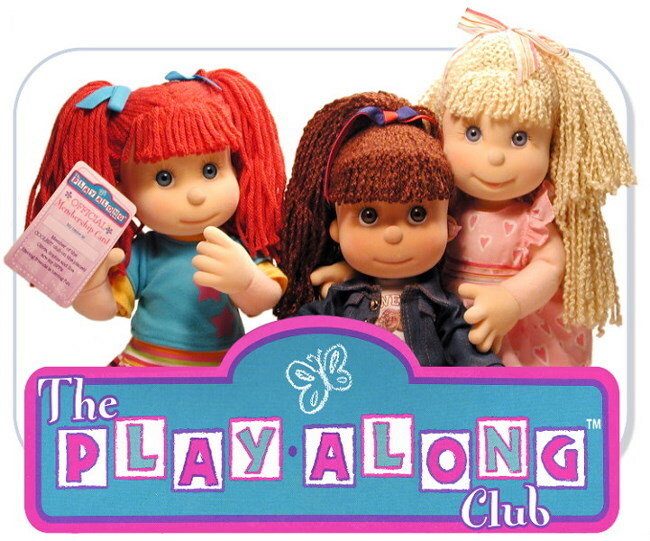 "The Play Along Club"dolls began 5 years ago as "Friendz n Family". The year was 2002. The year before had been a sad one, made all the worse by 9-11. Furthermore, I felt like a dinosaur in a Toy Industry that had gone electronic. It seemed like every toy produced either had a computer chip in it, or a "chip on its shoulder". Talking teething rings and teenage tarts were not my cup of tea. I contemplated retirement, but decided to first attempt one final project. After a lifetime of trying to please everybody, this one would be just for me, an uncompromising attempt to simply make the best doll that I could. The result was Friendz n Family. The original presentation consisted of seven prototype dolls, intended to represent the potential of many more. I will show you only the photos of the three original dolls, who were destined to become the Play Along Club. The others, for now, must remain a secret, as I dont want to spoil the fun of things to come, if the Play Along Club becomes successful. On second thought, the club is for girls only, so I can show you the boy doll too. PlayAlong Stock Photos (c) PlayAlong Toys Inc.
Trollz photo (c) Hasbro Inc.